Singer-songwriter Mogey McDonough’s new album is called Dichotomous Thinking. It was produced at Drum Farm Studios in Menomonie. ‘Now, Lemme Get This Straight” – This album is the perfect soundtrack for the summer ... Imagine Bruce Springsteen and The Eagles got together and brought a musician under their collective wing. Now imagine this performer just released his latest album in the heart of the Midwest: Menomonie, Wisconsin, to be exact. Dichotomous Thinking features 11 songs that speak to any Americana fan. 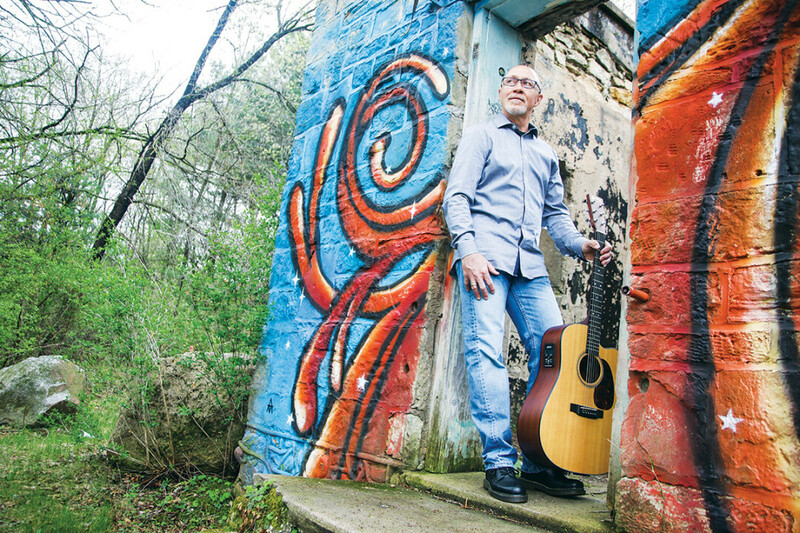 A mix of upbeat and somber songs, the album blends the stylings of McDonough’s musical inspirations, including Springsteen, Tom Petty, and The Replacements, among others. McDonough himself is a transplant to Wisconsin, born and raised in East St. Paul. From a young age the music has flowed through him. After picking up the guitar in his ’20s, he expanded beyond an appreciation for others’ work into a motivation to create something of his own. After getting his undergraduate degree at the UW-River Falls in elementary education and coaching, he moved on to UW-Eau Claire for his master’s degree in professional development and on to UW-Superior to study education administration. McDonough found himself in Altoona taking a job as a Chapter One program teacher. He taught in Altoona for 15 years before moving on to Cadott, where he took the job as the junior and senior high school principal. When asked about what inspires his music, McDonough said, “Various life experiences. You hear something, you see something, somebody says something. I’m constantly writing notes to myself. You write a line here, you write a line there and start putting things together.” Inspiration is everywhere, you just need to pay attention when it comes knocking. You never know when a “Jam” could fall right out of the sky. Dichotomous Thinking can be streamed through Spotify and is available for purchase at The Local Store, on Amazon, CD Baby, and iTunes among other brick-and-mortar and online retailers.